News that British high street stalwart Marks and Spencer is to close 100 stores over the next few years has followed hot on the heels of the Asda and Sainsbury’s merger proposals. A sign of changing times in the world of retail no doubt, but also a strong signal of pressures to come down the supply chain. In the case of the Asda/Sainsbury’s merger there is understandably concern in the farming sector amid promises to slash prices to consumers and predictions of a price war as supermarkets fight for market share. Will consumers be concerned about this concentration of power at the top of the supply chain? Does it afford an opportunity for smaller, local producers? To some extent possibly yes, but the rate at which discounters like Aldi and Lidl are grabbing market share suggests the majority of consumers continue to buy on price. As Arable Farming went to press, details of how the Government plans to clamp down on ammonia emissions from farming as part of its new Clean Air Strategy were being released. 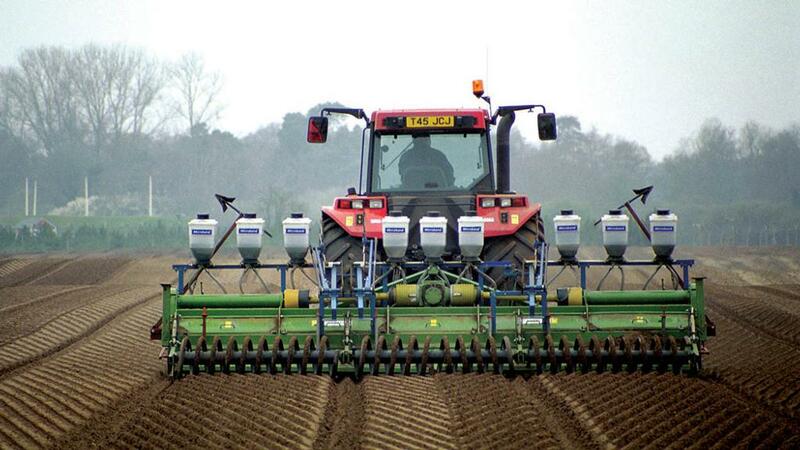 Agriculture, according to a statement from Defra, is responsible for 88% of all emissions. The announcement builds on proposals in the 25-Year Environment Plan to cut pollution from farming by limiting use of manures, slurries and chemicals to as yet undefined ‘economically efficient’ levels. Several of the proposals will affect the arable sector, including restrictions on how urea fertilisers are used, new rules for digestate storage and application, and maximum limits set for organic and inorganic fertiliser use. The need for investment in infrastructure and equipment is inevitable and so it is vital farmers are supported with proper incentives to make the required changes under this new system of ‘public money for public goods’. Failure to do so will undoubtedly threaten the viability of more than a few farming businesses. 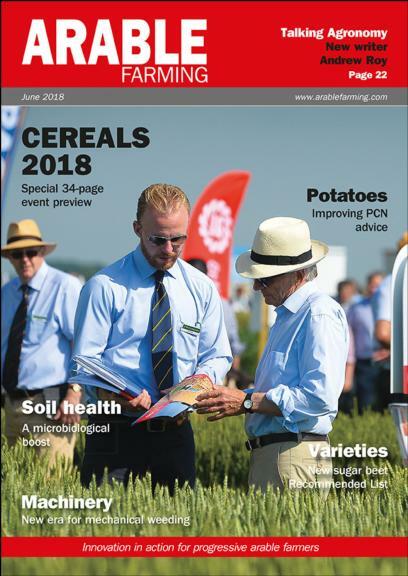 As I write Cereals 2018 is just a few weeks away; do take a look at our preview in this issue for a flavour of what’s on offer. The season of field days and technical events is upon us and after a challenging spring, which has for many prompted a major rethink of cropping and crop management plans, there are certainly plenty of questions to be addressed. We will be attending as many events as we can get to; we look forward to seeing you soon.